The coat of arms motto is ‘Forward, Upward, Onward, Together’ And it is a symbol with majority of the national symbols on the coat of arms. The national flower is the Yellow Elder. The national fish is the Blue Marlin. The national tree is the Lignum Vita. The national bird is the Pink Flamingo. The Bahamas largest industry is Tourism. The Bahamas celebrates worldwide holidays and historical occasions. These include Thanksgiving, Christmas, Passover, Labor Day, Easter and New Year’s. However, national holidays include Independence Day and Boxing Day. Boxing Day, December 26 is a day after Christmas. On this day and including New Year’s Day, we have a festival called Junkanoo. This festival is divided into multiple groups who come up with things to perform a live musical. It includes constructed and decorated customs, choregraph routines, and music using instruments. We also invented a type of drum called Goatskin Drum. It is constructed sing a aluminum garbage can and covered with a thick cloth material. Once it is tuning under a campfire, the sound is magnified and the bass of the entire music section which makes you dance. In the Bahamas we participate in most worldwide sports. The sports include Basketball, Baseball, Softball, Track and Field, Swimming, Soccer, Football and Flag Football’. The national sport is Cricket. However we are more known for our athletes who made it on international scale. These sports were Basketball and Track and Field. These athletes include NBA Sacramento Kings player Buddy Hield, the Olympic 400m gold medalist Shaunae Miller and Tonique William Darling and the 4x400m and 4x100m relay teams. Salad, eating raw conch mix with green peppers, onions and herbs you would like with it and drizzled with a lemon-flavored juice. We also have our own alcohol brewing company. Some local alcoholic beers are called Sands and Kalik. The Bahamas is an archipelago consist of cays and islands. The country lies between latitudes 20° and 28°N, and longitudes 72° and 80°W. The closest island to the United States is Bimini, which is also known as the gateway to the Bahamas. The island of Abaco is to the east of Grand Bahama. The southeasternmost island is Inagua. The largest island is Andros Island. Other inhabited islands include Eleuthera, Cat Island, Rum Cay, Long Island, San Salvador Island, Ragged Island, Acklins, Crooked Island, Exuma, Berry Islands and Mayaguana. Nassau, capital city of the Bahamas, lies on the island of New Providence. All the islands are low and flat, with ridges that usually rise no more than 15 to 20 m (49 to 66 ft). The highest point in the country is Mount Alvernia (formerly Como Hill) on Cat Island. It has an elevation of 63 meters (207 ft). The climate of the Bahamas is tropical savannah climate. The low latitude, warm tropical Gulf Stream, and low elevation give the Bahamas a warm and winterless climate. As such, there has never been a frost or freeze reported in the Bahamas, although every few decades low temperatures can fall below 10 °C (50 °F) for a few hours when a severe cold outbreak comes off the North American mainland. There is only an 8 °C difference between the warmest month and coolest month in most of the Bahama islands. As with most tropical climates, seasonal rainfall follows the sun, and summer is the wettest season. The Bahamas are often sunny and dry for long periods of time, and average more than 3,000 hours or 340 days of sunlight annually. The Bahamas, a chain of islands with limited large open space, is unable to support animals of great size on land. However, the fauna remains diverse and unique in land and sea. The waters surrounding the Bahamas offer a rich and diversified marine life. there are some 900 sq miles of reefs, including the third-longest barrier reef in the world off the east coast of Andros. The reefs are populated with eels, clownfish, angelfish, barracudas, Nassau grouper, nurse sharks and porcupine fish. Other marine life in the Bahamas waters are sponges, conch, lobster, hogfish, snapper, bonefish and many other fish. Several species of whales and dolphins, including the humpback and blue whales and spotted dolphin, are found in the seas around the islands. There are no poisonous snakes on the islands. There are also different kinds of lizards, including iguanas and curly tailed lizards There are several poisonous animals living on the islands or in the waters around. The black widow spider is possibly the most venomous species. Vegetation in The Bahamas is like that of Florida and Cuba. Native trees include Lignum vitae, Mahogany, Caribbean pine, Candlewood, Red Cedar and more. Native species are also shrubs like Cascarilla, Strong back or Yellow Elder, as well as mangroves and various kinds of palms. Native wild fruit trees include Pigeon plum, Coco plum, Sea grape, Tamarind, Sugar apple, Guava. Cultivated backyard fruit trees include Mango, Banana, Avocado, Paw paw, Hog plum, Gooseberry. Poisonous plants include Poisonwood which contains the poison urushiol. It causes a rash and in cases of smoke inhalation, lung damage. Most people show a reaction when they have continued contact. 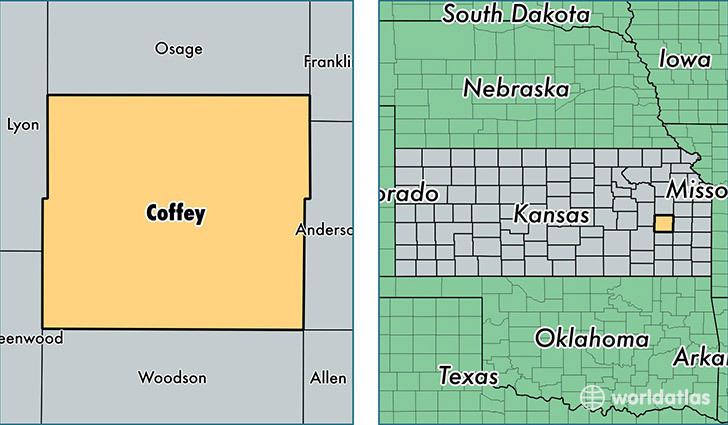 I lived in Coffey County in a home in the country. It’s always surrounded by trees and open land. Every day of my senior year of high school I had to drive to school. The school already is in a field laced town, but even so the drive there is going through several different pieces of land and nature. Coming right off from my home I see a field to my right and thick woodlands to my left. Upon crossing a small river that only shows itself as a river when needed as a river The fields are massive and follow roads and separate gravel roads and highway roads. The forestry hides the straight path into town and make the trip seem longer than it is. The hill that needs to be crossed hides the rocks on the other side. Emerging through these rocks sends passes me by and I next see gates and countless fields before passing another hill into a wide expanse of land. The farthest of land that can be seen is already a mile away. Dead trees and abound houses line certain areas of the drive but fit very well into position. Ever green trees mix with dead trees to make a diverse color of tree tops. As well as tree lines that halt for the roads even have diverse types of trees. Next up is the oil farm thing of machines who bob up and down to drill for oil. Followed by the first river of the jorney, the neosho river, the river that flows all the way to Louisiana crosses this jorney on its own. The open roads are followed into the next river which is a sea of green as the river is only a drainage. But the neoshoriver comes again in the form of another bridge. And byond the treeline of this bridge lies the town that the jorney has come to. Research topics, digital stories, and other projects posted by CCC students from instructions in course. Digital Story student productions usually use iMovie for Mac or Moviemaker for PC that are free downloads. Three minutes is the typical length, personal voice over telling about a place of choice, music in the background; one of the slides shows a map of where the place is. Student productions are published to youtube or vimeo then shared using embed code for future students to view too. Your posted work here is a personal, virtual reflection, your sense of place in the world today and/or the past/future experiences of culture important to you. Your posted work will be public, indefinitely, on the internet. Post your name(s) and video here, just above the previous student post. There's an error within the video that I would like to address. 5,000 square miles of land. "Finding a sense of place in a digital world"
Student groups/or individuals post their digital productions here based on class topics discovered, explored, and presented; topics relevant to biogeography, the nature of a place—flora and fauna, on land or off shore. 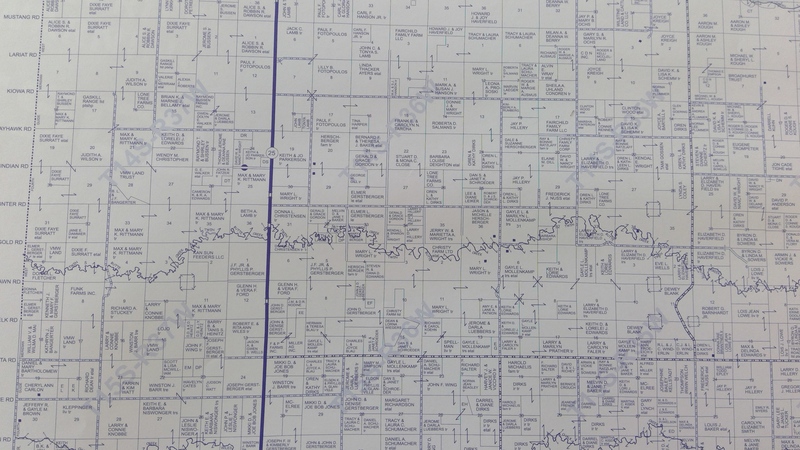 Coffey county is a very farm like county, full of pine trees and fields surrounding each town. Rows of trees separate property and dusty roads are common place even along highways. The wildlife in coffey was unique. Cayote are common place but hunt very spaciously. Deer are too but running into one isn't common occurrence. Turtles are fond of the ponds that commonly liter the clearings. The turtles have their own colors of yellow and such. Fishing spots can be found to have a large quantity of catfish, the town of burlington is the capitol of catfish. As far as water goes there are many rivers flowing all through coffey and kansas. This leads to several bridges that cross over different rivers. Alaska is the northernmost and westernmost state in the United States and has the most easterly longitude because the Aleutian Islands extended into the Eastern Hemisphere. Alaska is the only non-contiguous U.S. state on continental North America; about 500 miles (800 km) of British Columbia (Canada) separates Alaska from Washington. The capital city, Juneau, is situated on the mainland of the North American continent but is not connected by road to the rest of the North American highway system. The state is bordered by Yukon and British Columbia in Canada, to the east, the Gulf of Alaska and the Pacific Ocean to the south and southwest, the Bering Sea, Bering Strait, and Chukchi Sea to the west and the Arctic Ocean to the north. Alaska's territorial waters touch Russia's territorial waters in the Bering Strait, as the Russian Big Diomede Island and Alaskan little Diomede Island are only 3 miles apart. Alaska has a longer coastline than all the other U.S. states combined. The Bahamas, known officially as the Commonwealth of The Bahamas, is an archipelagic state within the Lucayan Archipelago. It consists of more than 700 islands, cays, and islets in the Atlantic Ocean, and is located north of Cuba and Hispaniola (Haiti and the Dominican Republic), northwest of the Turks and Caicos Islands, southeast of the United States state of Florida, and east of the Florida Keys. The capital is Nassau on the island of New Providence. The designation of "the Bahamas" can refer either to the country or to the larger island chain that it shares with the Turks and Caicos Islands. The country lies between latitudes 20° and 28°N, and longitudes 72° and 80°W. The climate of the Bahamas is tropical savannah climate.The low latitude, warm tropical Gulf Stream, and low elevation give the Bahamas a warm and winterless climate. The waters surrounding the Bahamas offer a rich and diversified marine life. there are some 900 sq miles of reefs, including the third-longest barrier reef in the world off the east coast of Andros. The reefs are populated with eels, clownfish, angelfish, barracudas, Nassau grouper, nurse sharks and porcupine fish. Other marine life in the Bahamas waters are sponges, conch, lobster, hogfish, snapper, bonefish and many other fish. Several species of whales and dolphins, including the humpback and blue whales and spotted dolphin, are found in the seas around the islands. On land, various species of amphibians exists like the Cuba tree frog as well as reptiles including turtles, Bahamian boa constrictor, pygmy boa and blind worm snake. There are no poisonous snakes on the islands. There are also different kinds of lizards, including iguanas and curly tailed lizards. About 230 species of birds migrate to or live in the Bahamas islands. They include the Bahama parrot, Bahama wood star, hummingbird, woodpecker and West Indian flamingo. Other interesting birds include the great blue heron, barn owl, peregrine falcon and Bahama duck. It is believed that 13 species of mammals are native in the islands, of which 12 are bats. The other is the hutia, a rodent-like creature. There are also populations of wild pigs, donkeys, goats, racoons and Abaco wild horses. Vegetation in The Bahamas is similar to that of Florida and Cuba. Native trees include Lignum vitae, Mahogany, Caribbean pine, Candlewood, Red Cedar and more. Native species are also shrubs like Cascarilla, Strong back or Yellow Elder, as well as mangroves and various kinds of palms. Native wild fruit trees include Pigeon plum, Coco plum, Sea grape, Tamarind, Sugar apple, Guava. Cultivated backyard fruit trees include Mango, Banana, Avocado, Paw paw, Hog plum, Gooseberry. Poisonous plants include Poisonwood which contains the poison urushiol. It causes a rash and in cases of smoke inhalation, lung damage. Most people show a reaction when they have continued contact. Barbados is an Eastern Caribbean Island found in the Western Hemisphere. It is an Independent British Commonwealth Nation. In the Barbados, there are beaches, Harrison’s Cave formation, botanical gardens, and 17th century plantation houses, such as the Saint Nicholas Abbey. Like many other places, Barbados have traditions including: afternoon tea and cricket, which is their national sport. Hobbies in Barbados include: tennis, snorkeling, fishing, water skiing, and golf. As of 2016 Barbados’ population was 284,996. The capital of Barbados is Bridgetown. Their currency is Barbados Dollars ( 1 US dollar = about 2 Barbados Dollars). In Barbados there is usually 8-9 hours of sunshine. The temperature is usually 75-90*F on a daily basis. It rains often with the dry season being January- June. Barbados is cooled by North-East Winds. The Island is 21 miles long and 14 miles wide. On the West and South coast, you can find the calm Caribbean sea and miles of beaches. On the East coast you can find rugged cliffs and the Atlantic Ocean. There are four main mammals in the Barbados: Bats, Green Monkeys, Europeans Hare, and Mongoose. There are very few snakes found in Barbados. Other wildlife include: turtles, lizards, frogs, and toads. You can also find over 100 different types of birds, a few including: ducks falcons, and sandpipers. Nicaragua is within the isthmus between North America and South America. There are many neighboring countries that along the same isthmus. It's direct neighbors are Honduras in the North, Costa Rica in the South, Caribbean in the East. Managua is the capital and also the largest cities within the country of Nicaragua. With a population of approximately 6 million, Nicaragua holds less than one percent (0.5%) of Western Hemisphere population. This country is home to 248 amphibians and reptiles, 183 species of mammals, 705 bird species, 640 species of fish, and about 5796 species of plants. With this amount of variety the land is rich with nature. The Nicaraguan jungle covers 2.4 million acres of land, which are considered the “Lungs” of Central America. They comprise the second largest sized rainforests of all the Americas. The culture is strong in music and religious tradition. It is deeply influenced by European culture. 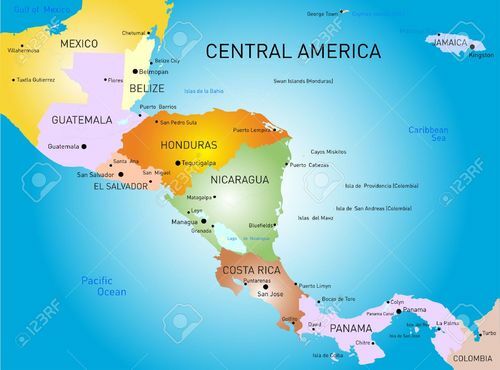 The west portion of Nicaragua was controlled by Spain at one time as some of the culture is similar to other Spanish speaking American Countries. There are parts of Nicaragua that English can be heard from the locals as their native language. The High Plains region is a hot and dry climate for the most part with cold winters and lots of wind. Plants that are found naturally would be grasses like buffalo grass and cheat grass along with flowers like sunflowers. Crops that are grown here range from corn, wheat, sunflowers, milo, soybeans, and some other crop varieties for pasteurizing livestock. Kansas is a very interesting place because we really do not have a climate well suited for corn and soybeans because of how hot and dry Kansas tends to be. However, due to the modernization of hybrid crops, we can now raise corn and soybeans just as well as states like Iowa and and Missouri, so that is one aspect I find fascinating about Kansas and how farmers have been able to make due with what they can. One other piece I would like to mention is the map I included. 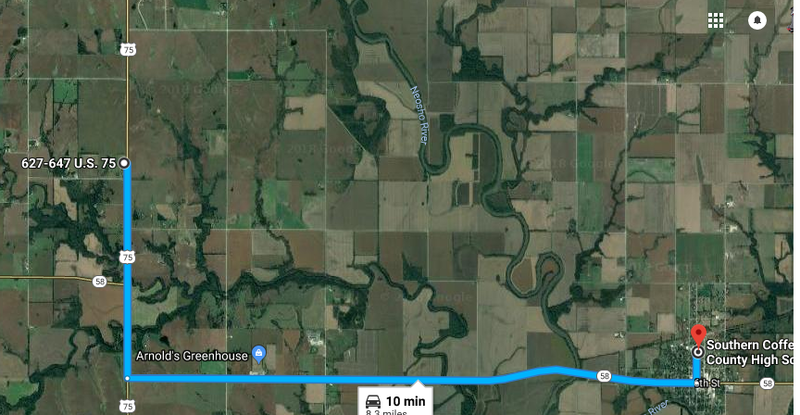 As you are driving on the highway you can only see a square patch of wheat or corn, but you don't see what is underneath of the soil or who the landowners are. So as I drive by fields, I always have maps pulled up on my iPad trying to familiarize myself with the area and who is who and what is where and so on and so fourth. In the Russian forest you will find the Taiga Biome. Taigas forest are usually found in the northern most hemisphere. 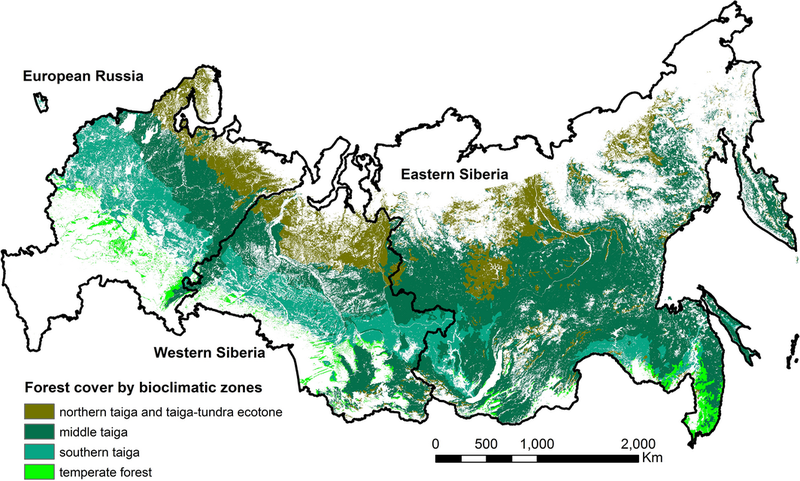 Taiga is the world's largest land biome, making up 29% of the world's forest cover. This boreal forest or snow forest mainly consist of spruce, pines and larches tress. This biome in specific Is said to be the largest next to the oceans. It is said that there are more animals then plants that are able to colonize as there is no room for plants to grow in harsh conditions. However, oak, maple, elm and lime find their way into the taiga mostly growing on the outskirts of the region. Fauna in the area also have a very tough time living in the region due to harsh climate conditions. It is also home to many animals though such as Moose, Reindeer, Bears and also some insects who help and play important parts in the food web. The reason why I chose the country of France is because I wanted to know what is even over there and how the landscape looks over their compared to the landscape over here in the U.S. The second reason is because I have never been to France, but one of my family members has been there already during World War 2, but he didn't fight over there. Instead, he was working in the army mailing department in both England when D-Day was happening, and France when the Allies were fighting in both France and whatever remained of Germany. So that is why I chose to do the D-Day beaches for one assignment and now do the whole Country of France. if you are looking for the map and the history of France than click on one of the websites below to find out more about France.